Winning a big jackpot on the lottery is something every player dreams about. In order to win you must first match all the numbers that are drawn. The question is, how do you do that? There’s a bunch of different ways on how to pick lottery numbers. Carry on reading to find the best ways to pick your lucky lotto numbers. Because who knows, you may be the next big winner if you pick your lottery numbers in this way? As a Lotto beginner you may think it’s good to listen to other people about which numbers they choose when picking their lottery numbers. However, this is something which you really should avoid. If you do happen to choose the same lottery numbers as someone else, you will have to share the jackpot with all tickets which display the same numbers. Try to choose your numbers so they’re unique, this way you get to keep all those millions to yourself. Register to Multilotto and play lotteries around the world. Use bonus code “TMBONUS“, deposit min. $€25,00 and collect 100% deposit bonus to Lotto and 300% first deposit bonus to Casino up to £€300. Most humans think differently than one another, however when it comes to options on how to pick lottery numbers, we tend to think the same. It’s common to choose lucky lottery numbers by selecting a special date, this could be a birthday or an anniversary for example. Since a month doesn’t have more than 31 days, numbers above 32 are frequently disregarded. So this is an option to choose the best lotto numbers as they have the same odds of being drawn, but less people choosing the numbers. 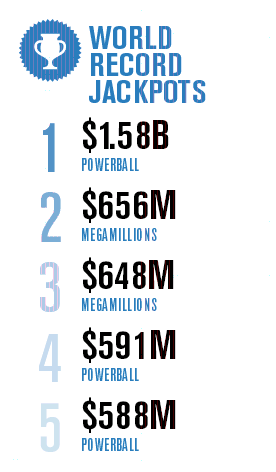 This means that lottery wins with these numbers tend to be higher jackpots as the winnings are not shared too widely. Also, if you happen to be the only winner you get it all to yourself! Also, do not forget that Multilotto is not only about playing lottery but also Casino. Multilotto’s online casino is one of the best around. One thing that definitely increases your chances of winning is to buy many tickets or join a syndicate. The more tickets you have the more numbers you’ll have and that will boost your chances of winning. If you join a syndicate you can have more combinations of numbers, but if you win you will have to share the profit with your partners. This tool is perfect for people that are in a rush or just don’t have time when they’re purchasing a ticket. It’s also amazing for people that feel anxious about deciding which numbers are the best. This is understandable since choosing the right lottery numbers could change your life forever! Believe it or not, sometimes it’s just a coincidence that a person becomes a lottery winner. Often, the lucky lotto winner may have used the quickpick tool or just visited a retail store and bought a ticket with random numbers. Sometimes winning the lottery is just meant to be and all you have to do is believe in fate! There are a few lotteries where some numbers never have been drawn. One of these lotteries is the lotto giant Euromillions. Just bare in mind, that if you choose frequently picked numbers and someone else chooses the same lotto numbers as you, you will have to share the jackpot if you win. So choose the frequently picked ones but make it unique with your own little twist. If you believe in lucky numbers and indeed have your very own lucky number, subconsciously they’re probably digits that center around important dates or events in your life. An alternative method of picking lottery numbers should be to mix your lucky numbers and significant numbers together. For instance, you might use your grandmother’s birthday month and year, 7/1931 and your father’s birth month and day 4/29. Together you might come up with something like 7-14-21-1-39. Other examples of significant numbers might be: Birthdays, anniversaries, ages, addresses, phone numbers etc. Some folks have a lucky number which they use for everything. The number isn’t connected to a birthday or anything like that, for some reason they just like the number. Do you have your own lucky number? Have you had your lucky number since you were a child? Or is it a special number you always think about? If you have a lucky number, consider making it your additional number / bonus number. Several experts recommend players to stick with the same bonus number/s on every draw. If you use these tips you might just get lucky! The key to lucky numbers is simply having enough to fill an entire lottery ticket – if you have to borrow numbers from someone else then they are not really lucky anymore are they? 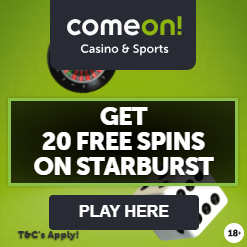 And if you win, are you going to share the jackpot with them? Somehow, we didn’t think so. Make your lottery numbers your own. As you now know, there are plenty of different ways to pick lottery numbers and win huge jackpots. These are tips that may help you on the way to that mega lotto win. In what way you wish to proceed is all in your hands. No one can say which one strategy is better than another, but everyone likes to tell you that it is important to choose you lottery numbers. How are you going to pick yours? Now you’ve got all the information you’ll need for start play lotto! All you need to do is to go to Multilotto, choose a lottery such as Powerball or Mega Millions and buy a lotto ticket, pick your numbers, pay and wait until the draw! Good luck! How To Play Powerball In The UK?